Sometimes when the unexpected happens, changes need to be made to substitution and cover plans. Below we see a teacher Paul Ryder who was scheduled to be absent for the first three periods. In the case that Paul informs the school that his absence will continue until 13.45. You can click the Edit option above his name. 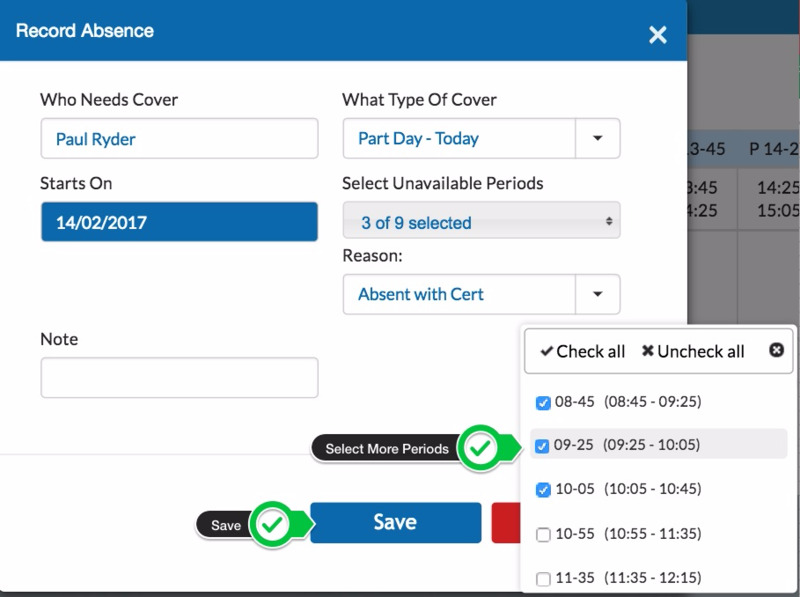 This will allow you to extend the duration of his absence without having to re-input all previously entered cover data. You can see from the below screen shot where we tick periods up the 13.45, the corresponding cells unlock. The same process can be used in reverse if you wish to shorten the number of periods in which the teacher is absent.